The Arca Swiss Rm3di is the ideal tool for photographers who want to take photos with both a digital back or a film cassette. 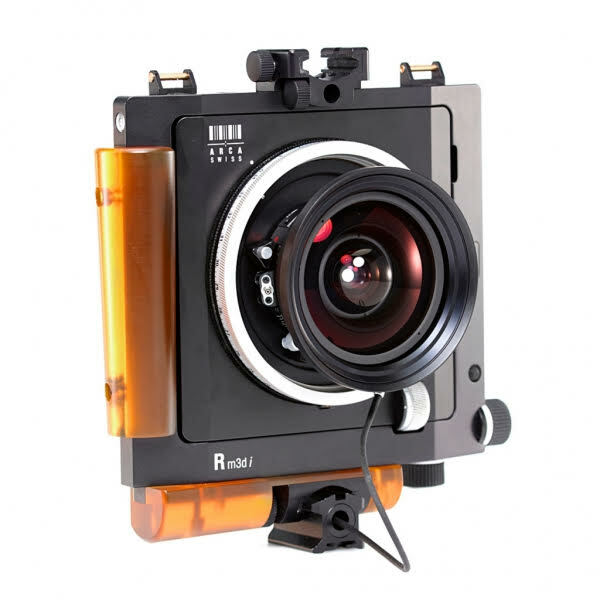 You can use lenses from 23mm to 210mm, provided the image circles of the lenses also cover the latest backs and their sensors.Rm3di has self-locking geared AIP (all in plane) vertical and lateral shifts. 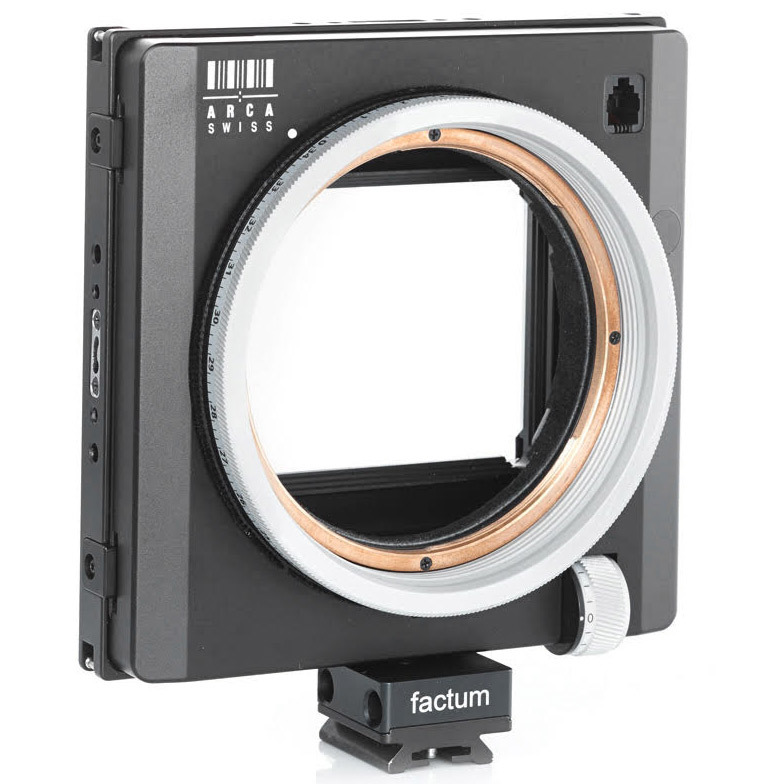 The precision focusing mechanism and integrated lens mount are swivel-mounted and simply turning this unit enables horizontal as well as vertical. It comes with a detachable front that can be rotated 90 degrees. The camera can be configured to have front swing instead of front tilt. Perhaps the most important Arca Swiss component in the R Line is the marriage of the helical focus ring to the body itself. This is in contrast to similar products where the focusing ring is mounted on each lens mount. There are several advantages to the Arca Swiss approach. First, the focusing ring is the same familiar size, and in the same familiar position, no matter what lens you mount. Furthermore the body-mounted focus ring on the R series is far larger and easier to access than a helical focus ring mounted on a lens. In addition, the Arca Swiss Helical Focus Ring is far more precise than any other focusing ring. One turn of approximately a half inch from one focus mark to another represents only about a 15 micron change in focus. This makes very precise focus tweaks much more accurate. Because of this precision and the markings of the ring, minute tweaks for variances in lenses can be more easily accomplished that with comparable products. This also has the effect of making the Arca Swiss lenses less expensive than comparable products because each lens does not require a helical focusing ring.